Jan 04, 2016 Thank you for choosing 50 Floor to complete your floor installation. It appears 50 Floor have addressed the floor concerns you did have. Please give me a call directly if you should need further assistance to take care any additional floor concerns. 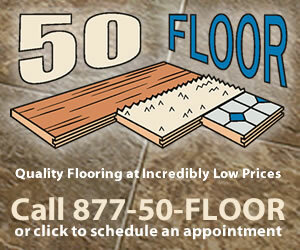 Thank you again for choosing 50 Floor for your flooring project. Review #604431 is a subjective opinion of User604431. If they are coming out to fix it, it looks like they do stand behind their work. You make no sense. All you can expect from a good company is to come and fix things that are not right, it is when they won't come fix it that there is a problem.